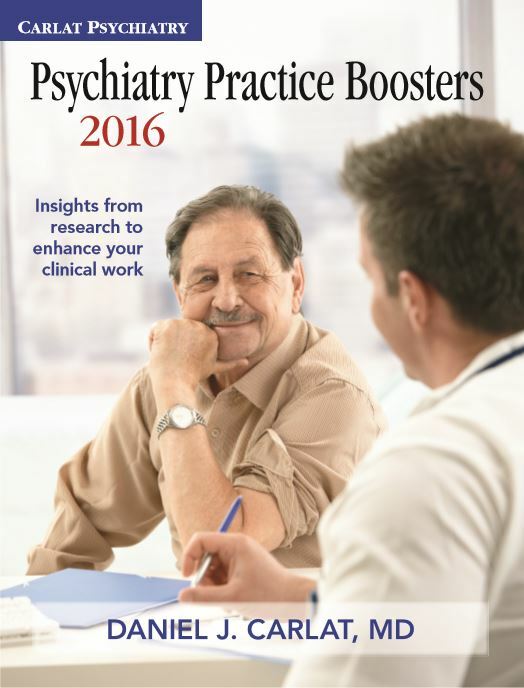 Clinicians need to keep up on the latest developments in psychiatry. But mental health professionals are only human, they can’t possibly read every potentially relevant research study that is published in a given year. 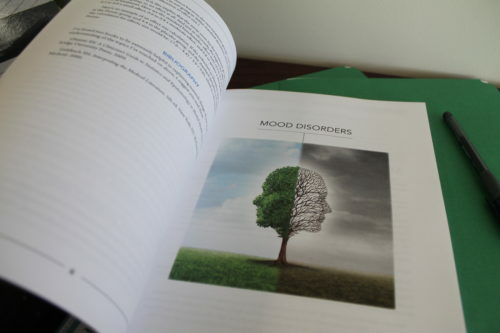 Knowing that at Carlat Publishing, we sift through the contents of psychiatric journals to identify the most interesting studies, and then we read them. 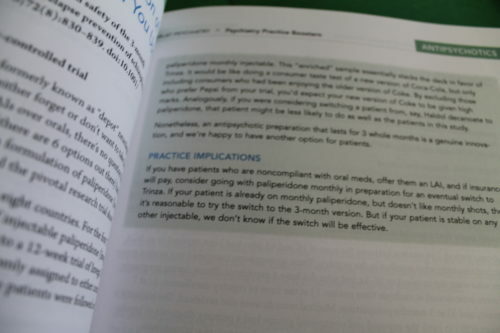 Only some of them meet our criteria of being of wide relevance for clinical practice (not too obscure), and also having something to conclude that might actually affect our practice decisions. We publish these research updates in a one-page section of our three newsletters. 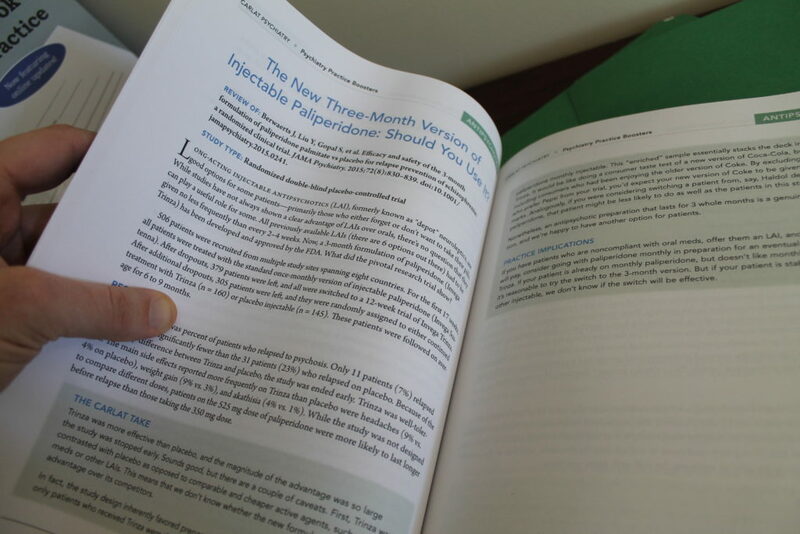 Those updates are compiled in this volume. which also includes a quick primer on study design and statistics and 50 multiple choice questions so clinicians can assess their understanding of these study results and earn ABPN Self-Assessment and CME credits. 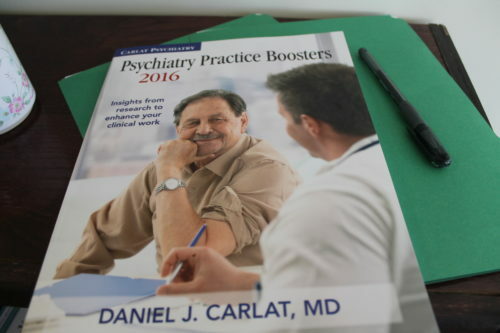 Should you heed the FDA recommendation to use no more than 40 mg of citalopram for your patients? 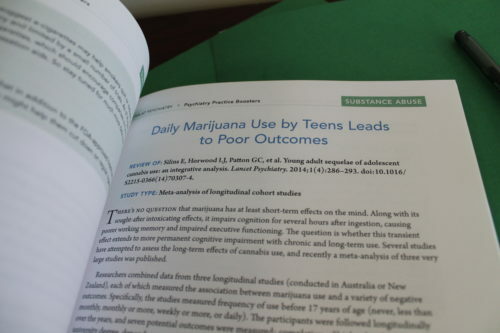 Is regular cannabis use really bad for teenagers? Does antidepressant use in pregnancy increase the risk of autism? What’s a promising new treatment for clozapine induced drooling? Does heavy drinking really imply a drinking problem? Does Straterra increase suicide risk? Can pets be good for your patient’s mental health?